Whether you’re moving into a new property or you just want to give your home a lick of paint, renovations can be exciting, allowing you to transform your home into whatever you want it to be. Below, we’ve put together some top tips for helping your kids decorate their bedrooms. 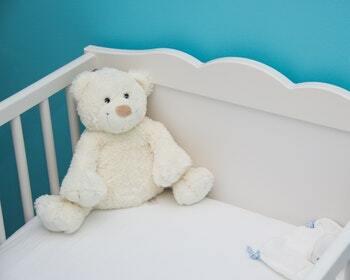 If you know that you don’t want to spend more than £300 on your child’s bedroom makeover, make it clear and let them budget for their own renovations. Treating your project as a money-saving exercise can not only make it more enjoyable, but it allows your children to understand the value of money, and make sensible decisions when buying materials and accessories. Log on to an interior design website or use Google Images to get inspiration for your child’s bedroom design. You can then download your favourite wallpapers, images and furnishings, and put them all together in a mood board. Shopify has put together a guide to the best mood board apps for iPads, meaning that you won’t have to print out hundreds of images to get to the final result. As much fun as designing a new bedroom is, it’s important to think about the essentials of their new bedroom. Will they require new wardrobes, extra power slots, folding doors or even new windows? Make a list of everything that you want to include in your child’s new bedroom, and calculate the cost so that you can budget accordingly. A new carpet might sound affordable, for example, but can quickly add hundreds of pounds to your project and mean that you have to cut back on expensive furnishings or wallpaper. Budgeting is key if you want to finish their room without breaking the bank. One of the simplest and most effective methods of renovation is by personalising your space – and, in the case of children’s bedrooms, giving them the chance to express themselves. Print photographs of their friends and family onto canvases to hang onto walls, buy cheap photo frames that you can stack on windowsills and bedside cabinets, or even consider using string and pegs and printing off your children’s favourite snaps to hang on a wall elegantly. Pinterest is great for bedroom inspiration – check out their photo wall page for more ideas of personalising your room. If you’ve got a spare weekend and want to transform their bedroom on a budget, then do some DIY and let the children get involved, too. Buy the appropriate protector masks, and let children help with painting and decorating. Remember that they should be supervised at all times and that you should not let them use any dangerous or expensive equipment. Giving your children control over their room will make them feel motivated, and make the job much quicker for everyone involved.